The Style Book, published by Berkey & Gay in 1928, provided black and white photographs of their collection. 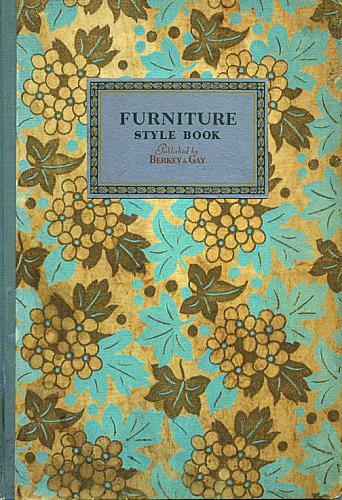 The eye-catching cover with golden stylized grapes on an aqua background was an advertising booklet to provide potential customers with a sample of their furniture collection. Reproduction and copyright information regarding this image is available from Grand Rapids History & Special Collections, Archives, Grand Rapids Public Library, Grand Rapids, MI.